After 5 years of success with the original EMIG V2 Lock-On Grip System, the collaboration between ODI and Jeff Emig has taken the feel of motocross grips to the next level. Countless hours of design along with multiple test sessions with top riders, to develop a grip built specifically around a Pro's needs that also provide maximum bike control to every level of rider. The Emig Pro Grip will be the choice of all motocross riders who want extra-soft compound for improved comfort, excellent control and less hand fatigue. Raised center JE logo pattern conforms to palms, improves padding & reduces vibration. Extra-soft, undercut independent ribs deliver lateral & rotational traction. Alloy reinforced end caps provide extra durability against grip blowout. ODI exclusive locking clutch-side collar attaches the grip providing 360° of Security. Best grips i have used. Really like the feel, are the right size not too big. Easy to fit. Great grips i will never use another style of grip. Great comfort, easy installation great look. 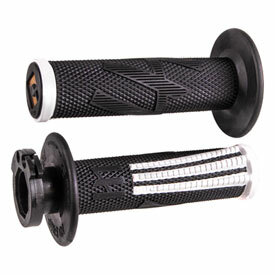 I have tried numerous different grips from Renthal, ODI and Pro Taper. These new Pro grips from ODI are the best I’ve tried. I was suffering from hand cramps/vibration soreness from most other grips I’ve tried before, these grips have helped reduce this. I wear the ‘19 Fox dirtpaw gloves with them which in combination absorb vibration a lot more and don’t fatigue my hands as much. These grips give a good amount of grip and are more softer compound/comfortable than your normal grips. I haven’t given a durability rating due to only having 5 hours on them. could you saw off end of grip to run wrap-around hand guards, instead of drilling out like others? BEST ANSWER: You probably could but not sure how much you would end up having to cut off as the end cap is metal so would need to cut the whole thing off. I think you would looe at least 5mm. I ended up just returning the ones I bought vs. cutting and hope they make a punch-out version. 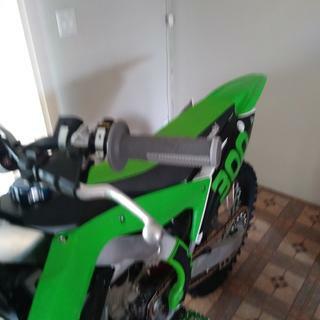 Yes I sawed my ends off they worked great!just make sure the throttle side is tapped away from guards so it don’t lock! 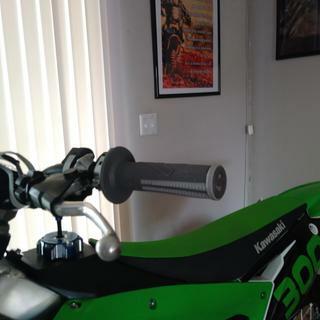 My emig pros are awsome super good grip easy install and uninstall!!!! Yes you can. There is a small metal cap on the ends and a plastic tube inside both grips. Just cut on the inside edge of the white ring with a hack saw or saws all, should be perfect. Not from what I know unlike the original odi grips these ones are made from aluminum rather than the plastic. Not sure these have a billet end cap not plastic like the older ODI. Yes, just gonna be a little tougher than your normal grip. Yes. You can also drill out the end that’s what I did. That is what we do. If you cut the ends they fit fine.